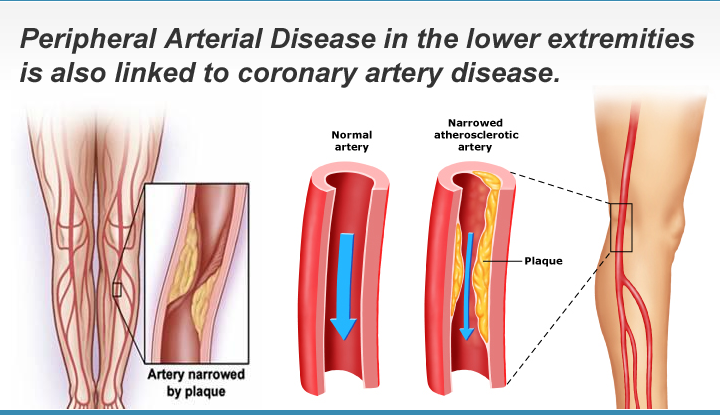 Peripheral Arterial Disease in the lower extremities is also linked to coronary artery disease. The most common test to detect significant Peripheral Arterial Disease (PAD) in the lower extremities is the Ankle to Brachial Index (ABI). It is a simple Doppler blood pressure measurement comparing the blood pressures at the ankles to the arm blood pressures. Our ABI test takes less than ten minutes. It is critical to detect PAD early, because an abnormal ABI is linked to higher risk of heart disease. It is estimated that as many as eight million people in the United States may have PAD. The most common symptom of PAD is painful cramping of the calf, thigh or hip, particularly when walking. Purpose: To determine the ratio of the blood pressure in the lower legs to the arm blood pressure. An abnormal ABI indicates lower extremity arterial inflow disease. Some studies also indicate that patients with peripheral vascular disease in the lower extremities are at higher risk of coronary artery (Heart) disease. Procedure: Blood pressure cuffs are placed around your ankles and arms. Doppler systolic pressures are obtained using the ultrasound transducer and an inflation device. Watch a short video about Peripheral Arterial Disease and how we screen for it.